In August of 2015, PharmaLogics began the process of initiating a Wellness Program certified by the Massachusetts Department of Public Health. We are pleased to share with you that this program is not only up and running, but flourishing! 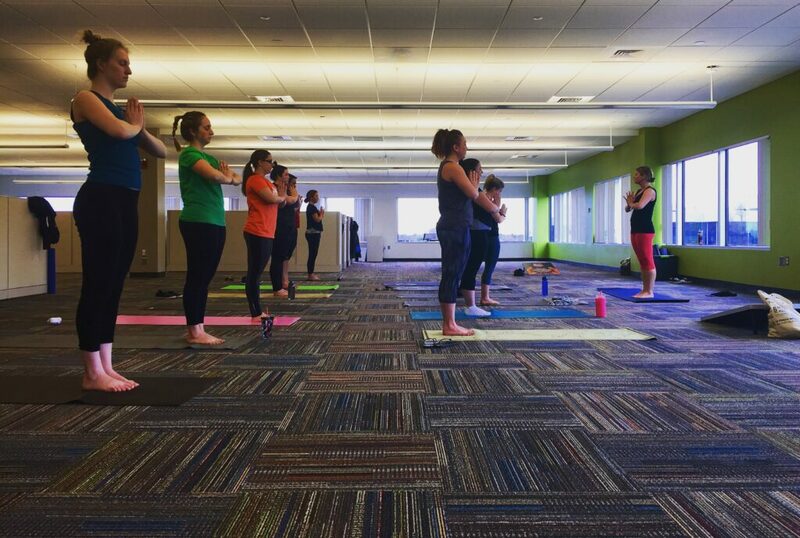 PharmaLogics offers fitness and yoga classes led weekly by certified trainers from The Active Workplace and CEO Megan Driscoll leads bi-monthly meditation sessions. We are providing our employees with healthy food and drink options on a daily basis with office deliveries of fresh fruit, authentic Greek yogurt, coconut water, and Kombucha. We kicked off the New Year with an incentive-based contest for recruiters; those who hit their recruiting goals in consecutive weeks have the ability to earn a MyPillow for a better nights’ sleep, a foam roller to work out the kinks after our fitness classes, and fresh fruits and vegetables delivered to their homes. We also provide our employees with flexible working hours for a positive work-life balance. The Wellness Program is also focused on incorporating organized events dedicated to wellness. In early April, our Quarterly Career Development Day was dedicated to the idea of mindfulness. Employees participated in yoga, meditation, acupuncture, and a discussion regarding the microbiome and healthy eating habits. Most recently, we kicked off an office-wide fitness contest, we have a team attending the Jimmy Fund Fit Fest in May, and we are in the process of organizing a team to participate in multiple road races over the next few months; more to come on these events! Wellness has truly become a large part of our culture and we are proud to have happy, healthy, active employees. Check out the photos below to see usÂ in action!